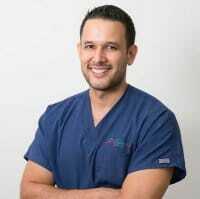 Gerardo completed his Bachelor of Veterinary Science at the University of Queensland in 2008. He graduated with first class honors and was awarded valedictorian of his year. After graduation he spent almost 3 years in a busy bay side small animal practice. In 2010 he changed direction and started working with Animal Emergency Service in Underwood where he is now a senior veterinarian. He achieved Membership with the Australian and New Zealand College of Veterinary Scientists in the field of Emergency and Critical Care in 2012 and is currently the head examiner for future Membership candidates. In 2014 he completed his Masters of Veterinary Studies in Small Animal Practice through Murdoch University which focuses on the more advanced aspects of small animal medicine. Dr Poli has a strong interest in the stabilisation and management of critically ill patients, small animal ultrasound and radiology and emergency surgery. He is currently the coordinator of the internship program and the continuing education program for the emergency clinicians at three Animal Emergency Service practices.